This work takes as its pivot point the famous 19th-century painting North-east view from the northern top of Mount Kosciusko 1863 by Eugene von Guérard, and reworks a segment using digital and physical collage with paint, pencil, fibreglass mesh and feathers. It draws on the history of sublime landscape in art to look at the opaque nexus of land ownership, power and money in the city. I have woven in references to the current Australian apartment boom, contestability of publicly owned land and ideas around how the economy is enacted, along with the shaman-like theatricality of black feathers, ribbon and mesh. 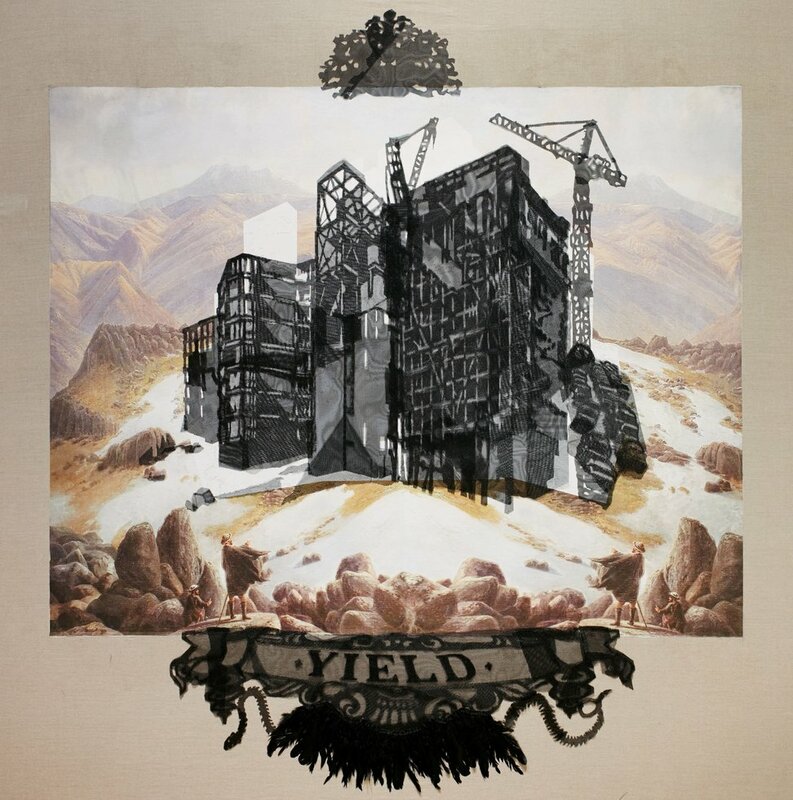 The text ‘yield’ intentionally refers to both economic returns and an act of penitent submission.